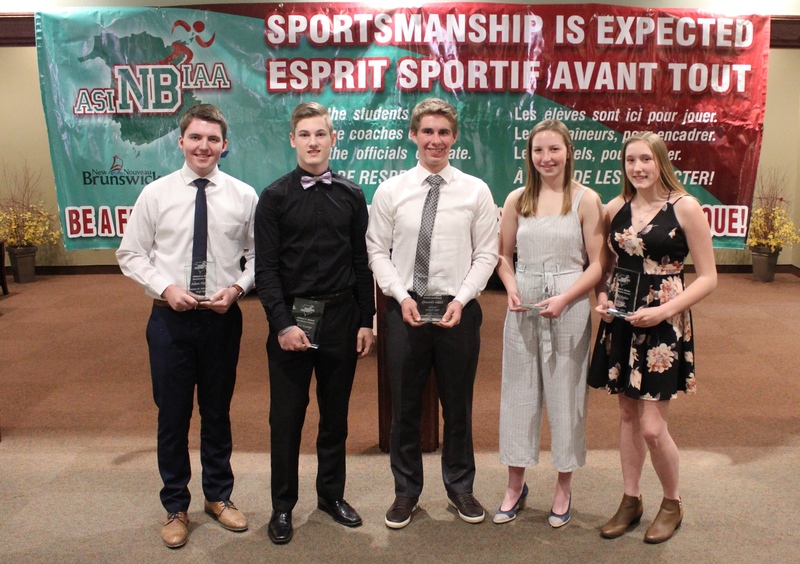 The New Brunswick Interscholastic Athletic Association will hold its 14th Annual Excellence Awards Banquet on Tuesday, May 7th, 2019 at St. Thomas University in Rigby Hall in Fredericton. Please click HERE for the application form (F-1). Please click HERE for the application form (F-2). Please click HERE for the application form (F-3). 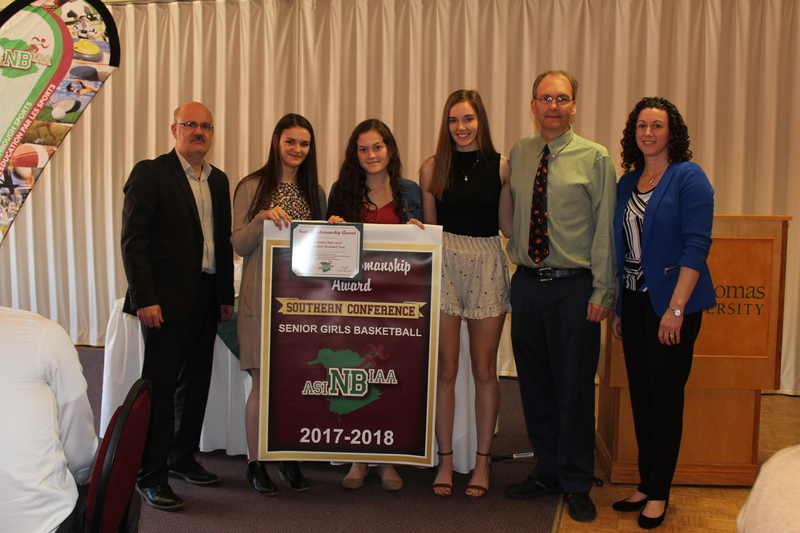 The New Brunswick Interscholastic Athletic Association held its 13th Annual Sportsmanship Awards Banquet on Tuesday, May 8th, 2018 at St. Thomas University in Rigby Hall in Fredericton. 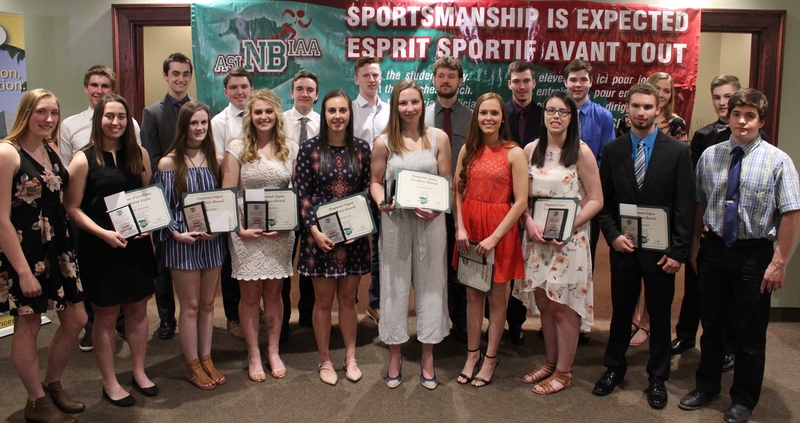 Twenty-three student athletes (listed below) from the NBIAA’s four conferences received the Raymond Légère Excellence Award. These students have shown outstanding qualities throughout the school year while participating in NBIAA sports. The top two, one male and one female, in each school category, received the William S. Ritchie Excellence Award. 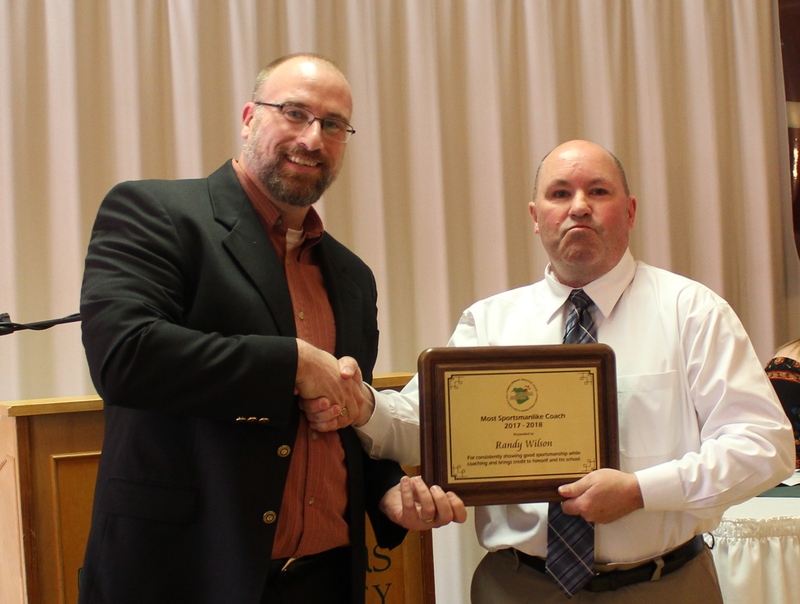 The Emery Johnson Memorial Award was presented to Randy Wilson from Nackawic Senior High School at the Sportsmanship Banquet by the NBIAA Vice-President, Jim Watters. 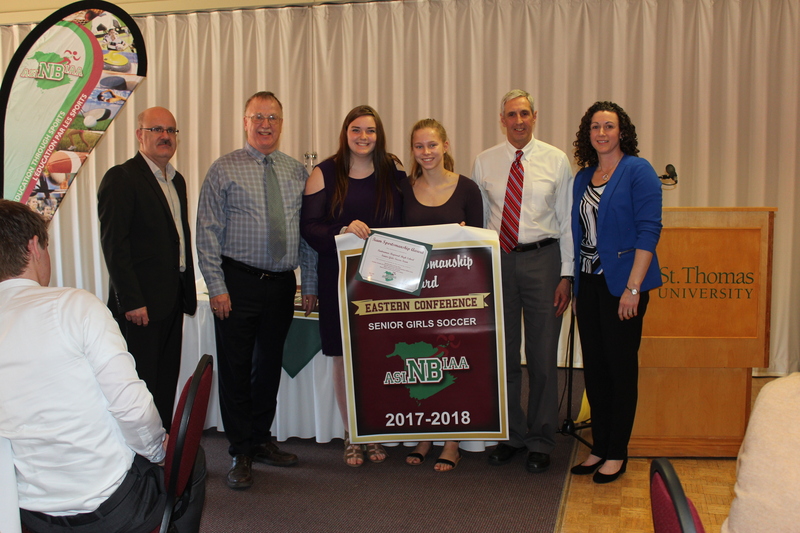 In 2014, the New Brunswick Interscholastic Athletic Association introduced an annual School Sportsmanship of the Year Awards. In 2017, the 'School Award' was modified to a 'Team Award', which aims to recognize a team, whose athletes, coaches and fans promote what sportsmanship is all about in every aspect of high school athletics. Photo from left to right: NBIAA President Andy Clark, Athletic Director Mae Cameron and NBIAA Executive Director Allyson Ouellette. Photo from left to right: NBIAA President Andy Clark, TRHS Manager Steve Ridlington, TRHS captains, TRHS coach Nev Garrity and NBIAA Executive Director Allyson Ouellette. 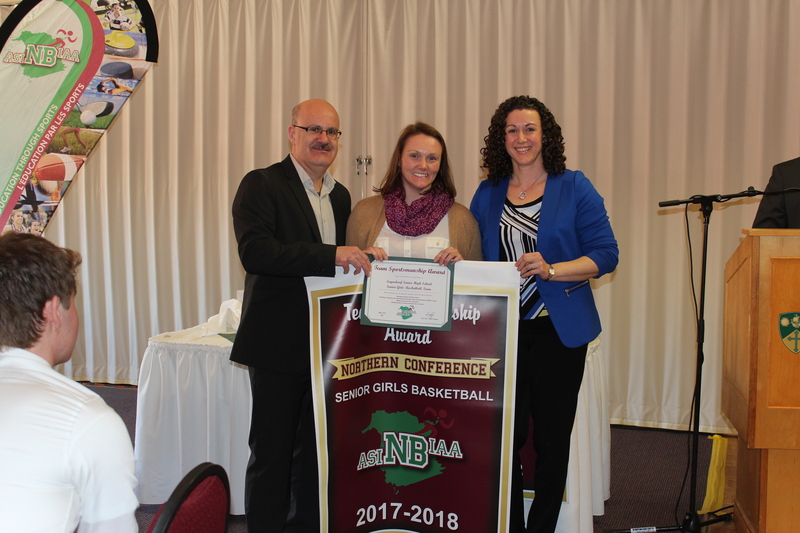 Photo from left to right: NBIAA President Andy Clark, SSHS captains, SSHS coach Dave Taylor and NBIAA Executive Director Allyson Ouellette.